Air Conditioning & Heating Repair in Clearwater, St. Pete, Largo and all of Pinellas County. For the most affordable and reliable air conditioning in Pinellas County, always choose the experts at Professional Air Solutions. Quality is of the highest importance, and we ensure the proficiency and superiority of our technicians by having the highest standards for Air Conditioning installation, maintenance, and repair. We understand the disruption that finding an A/C repair company can create, which is why we strive to make the process of getting your home running at the optimum efficiency as prompt, straight-forward, and affordable as possible. In Clearwater, St. Pete, Largo and beyond, we are always striving to improve our team to better serve the Pinellas County area. For A/C Repair in Clearwater, St. Pete or Largo you can find comfort in knowing that we provide affordable and reliable air conditioning services to your area. Our knowledgeable and respectful air conditioning service technicians are trained to work on all makes and models of Air Conditioning units to ensure that your job is always taken care of properly and efficiently. Call us today to hire the best air conditioning company in Pinellas County and get your cooling and heating system repaired correctly the first time! Having a broken air conditioner in your home is a major inconvenience. A/C Repair shouldn’t be. That’s why we offer quick and affordable services in the Pinellas County area. Upon requesting our A/C services you can count on trained and certified service technicians to accurately diagnnose problems you are experiencing with the cooling system in your home. We have access to high quality Air Conditioning parts to make sure that your system has what it needs to operate optimally. In addition, our services are affordable priced to prevent you from becoming overwhelmed by unexpected expenses. 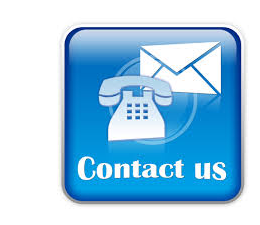 Call us today to request service. We proudly serve all of Pinellas County including Clearwater, St. Pete and Largo. We Service and Repair all Major Air Conditioning Brands.